As Vice President – Leadership & Transformation, Emma-Kate works alongside the Healthy Companies team to both support and lead key client engagements. As part of her mission to bring about positive, healthy outcomes, Emma-Kate coaches executives on optimizing their performance, helps organizations navigate through change and guides executive teams in building more productive relationships. An organizational psychologist with a certification in executive coaching from Georgetown University, Emma-Kate has extensive experience in designing and delivering cultural change and global leadership development initiatives with a particular focus on high potential employees. 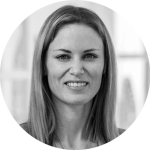 With extensive experience in Australia, New Zealand, Central and Western Europe, Asian, Africa and North America, Emma-Kate brings a unique global perspective to her work. We’ve always believed that being ‘smart’ is what it takes to get ahead. Learn why being Conscious is the new competitive advantage in a disruptive and accelerating world, and the steps you can take to become a more conscious leader. Companies are spending millions of dollars on health and wellness, and separately on leadership development. But it is the intersection of these two fields that will allow leaders to build the resilience needed to thrive in a constantly changing world. Learn how to integrate these areas into your leadership and to develop the leaders of the future. No news posts at this time. Please check back later.